Gunner's Mate First Class Osmond Kelly Ingram (4 August 1887 - 16 October 1917) was a U.S. Navy sailor who was posthumously awarded the U.S. military's highest award for valor, the Medal of Honor, for his heroic actions during World War I.
Osmond Kelly Ingram was born on 4 August 1887 to Robert L. Ingram and his wife Naomi Elizabeth Lea in Pratt City, AL. Ingram entered the Navy on 24 November 1903. His ship, USS Cassin, was attacked by the German submarine U-61 off Ireland on 16 October 1917. Gunner's Mate First Class Ingram spotted the approaching torpedo, realized it would strike close by the ship's depth charges, thus dooming the ship, and rushed to jettison the ammunition. He was blown overboard when the torpedo struck, thus becoming the United States' first enlisted man killed in action in World War I as he attempted to save his ship and shipmates. He posthumously received the Medal of Honor for his actions on that day. 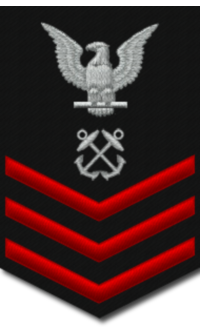 Rank and organization: Gunner's Mate First Class, U.S. Navy. Citation: For extraordinary heroism in the presence of the enemy on the occasion of the torpedoing of the Cassin, on 15 October 1917. While the Cassin was searching for the submarine, Ingram sighted the torpedo coming, and realizing that it might strike the ship aft in the vicinity of the depth charges, ran aft with the intention of releasing the depth charges before the torpedo could reach the Cassin. The torpedo struck the ship before he could accomplish his purpose and Ingram was killed by the explosion. The depth charges exploded immediately afterward. His life was sacrificed in an attempt to save the ship and his shipmates, as the damage to the ship would have been much less if he had been able to release the depth charges. The main flagpole and colors at the former Naval Training Center, San Diego, are named Ingram Plaza in his honor. The Navy named a destroyer after Ingram, USS Osmond Ingram (DD-255), was a Clemson-class destroyer in the United States Navy during World War II. Osmond Ingram was decommissioned at Philadelphia on 8 January 1946 and was struck from the Navy List on 21 January 1946. Kelly Ingram Park, a 4-acre park located in Birmingham, AL, is named in his honor. 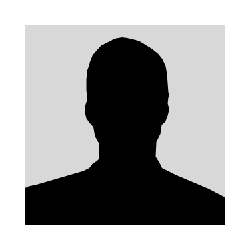 Gunner's Mate First Class Osmond Kelly Ingram was killed in action on 16 October 1917. He was buried at sea. His name is listed on the Tablets of the Missing at the Brookwood American Cemetery and Memorial in Surrey, England.